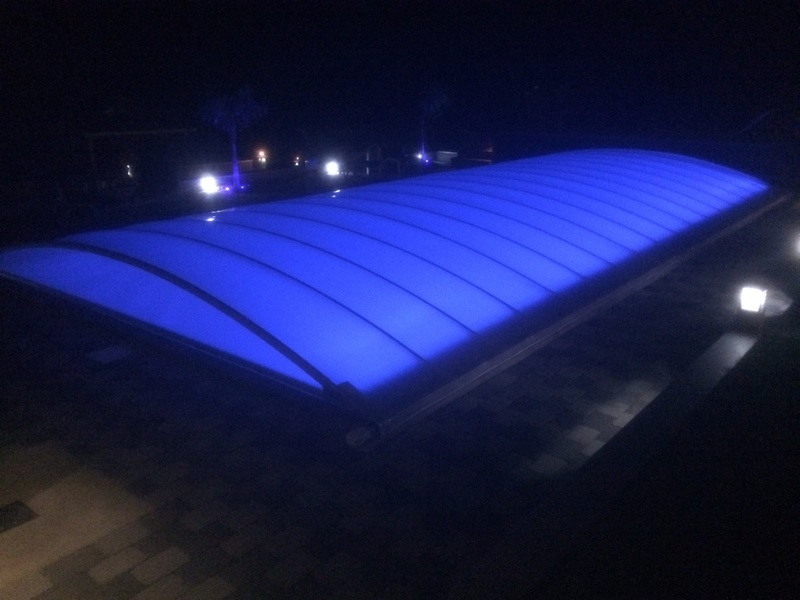 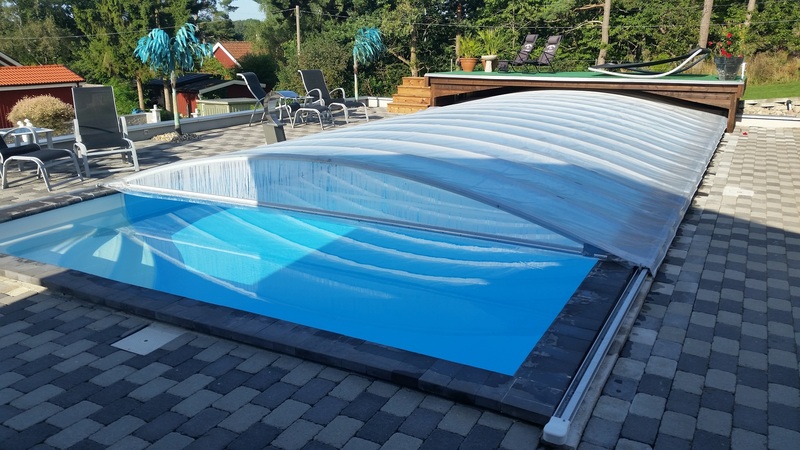 Zabras custom pool covers means cleaner water and less maintenance. 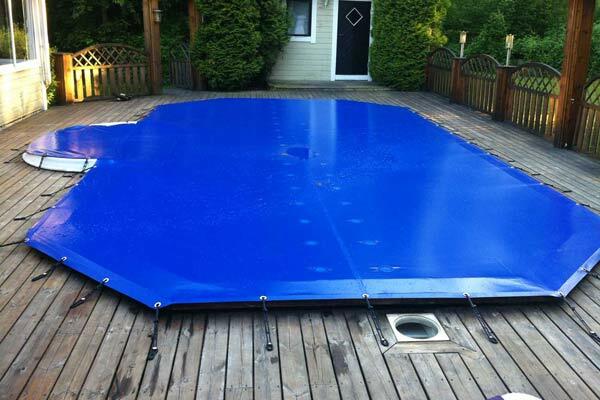 With a pool cover from Zabra avoids aside a large portion of evaporation and reduce the use of chemicals. 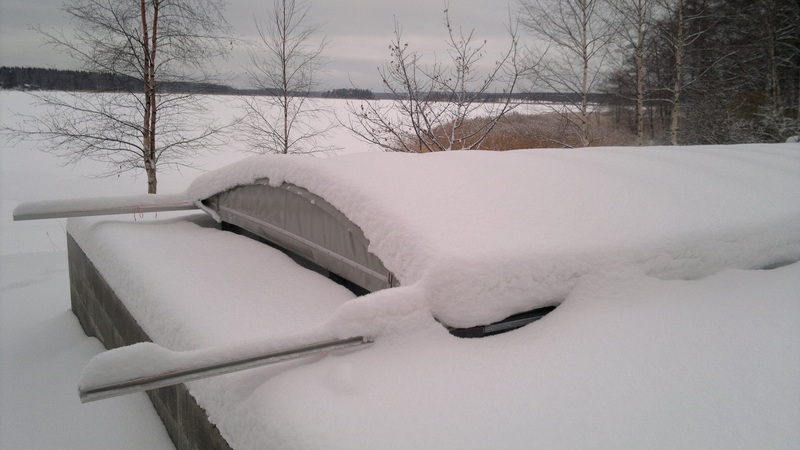 A Zabra enclosures with insulating effect reduces energy or temperature can be raised to the same cost as before. 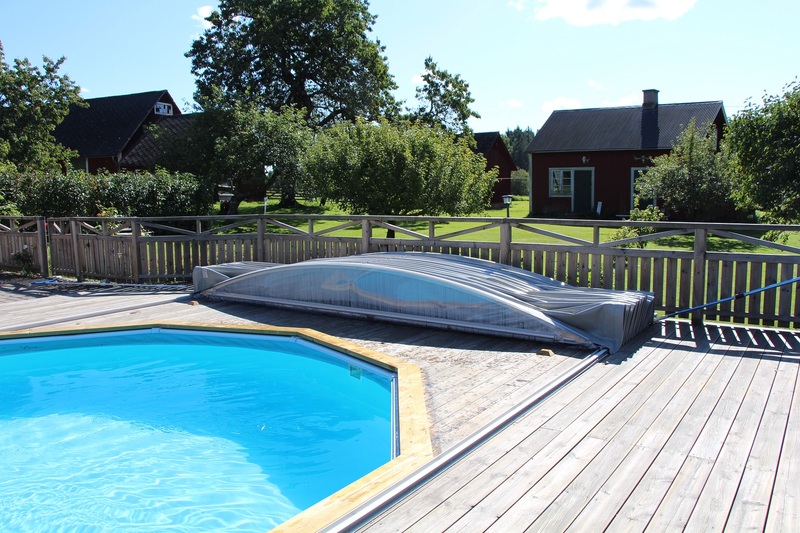 With you, custom pool cover from Zabra you get a robust yet easy to use pool covers to extend the season. 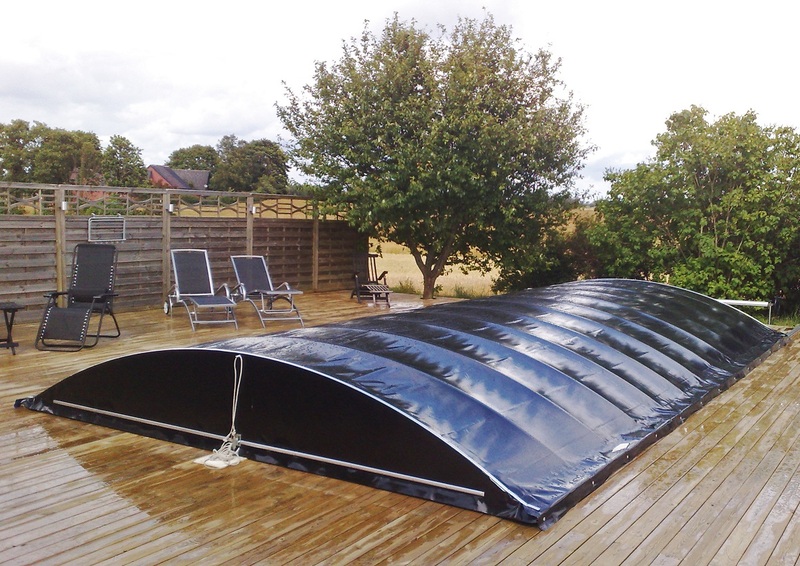 Our pool cover is lockable, which means you in accordance with the building regulations do not have to fence with a lock on the gate. 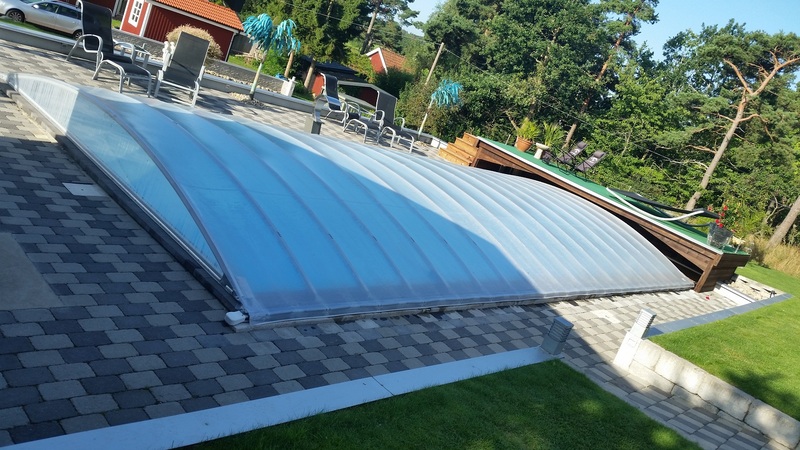 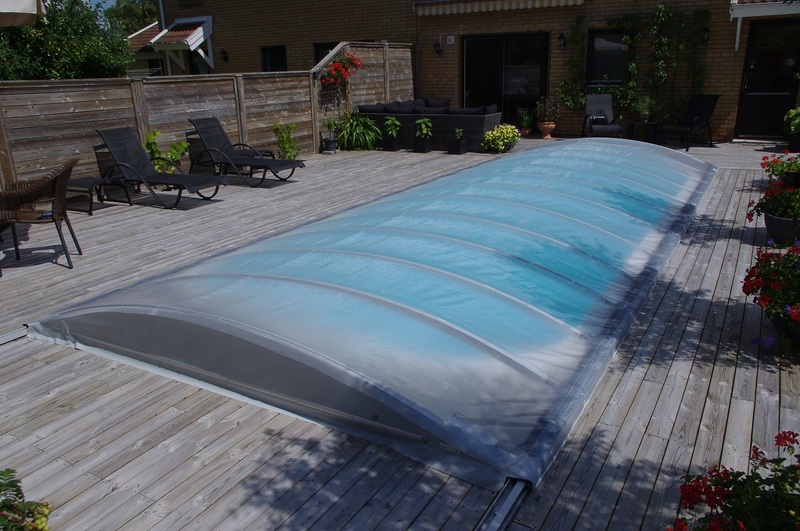 Zabras pool cover is protecting your pool needs summer, winter, spring and autumn! 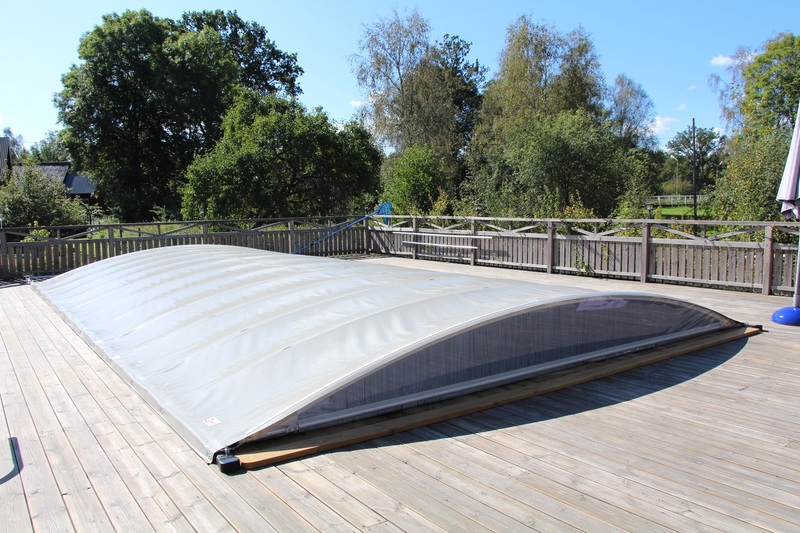 The coverage consists of sliding frames with ball-bearing carts and folding plates that make operation simple. 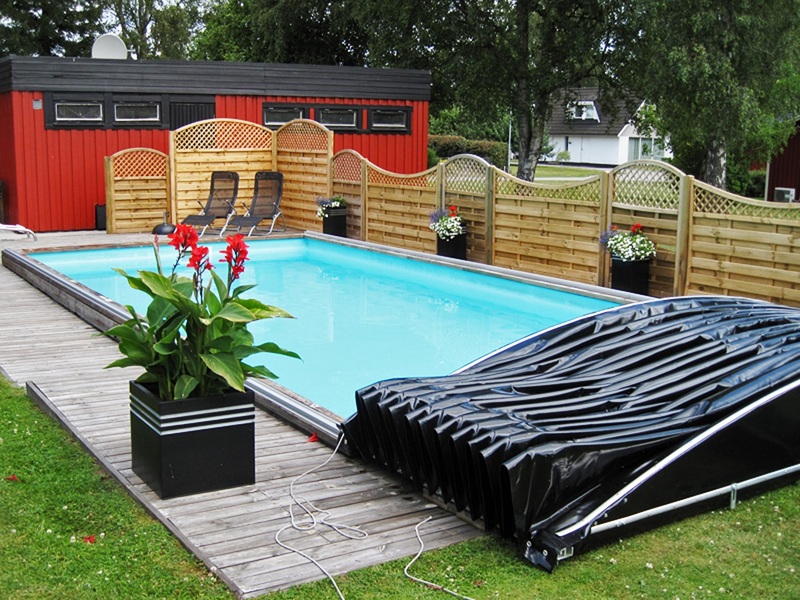 Lockable meaning Boverket not require fencing around the pool area. 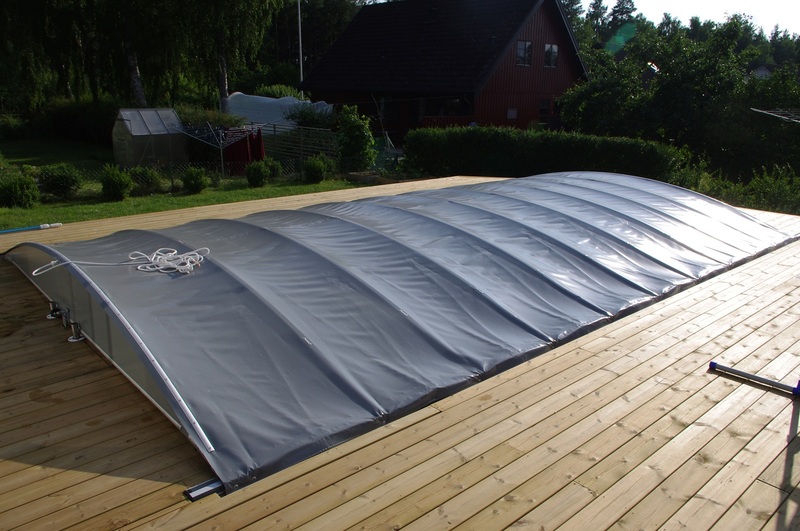 The fabric is high quality PVC-coated fabric with long and maintenance free life. 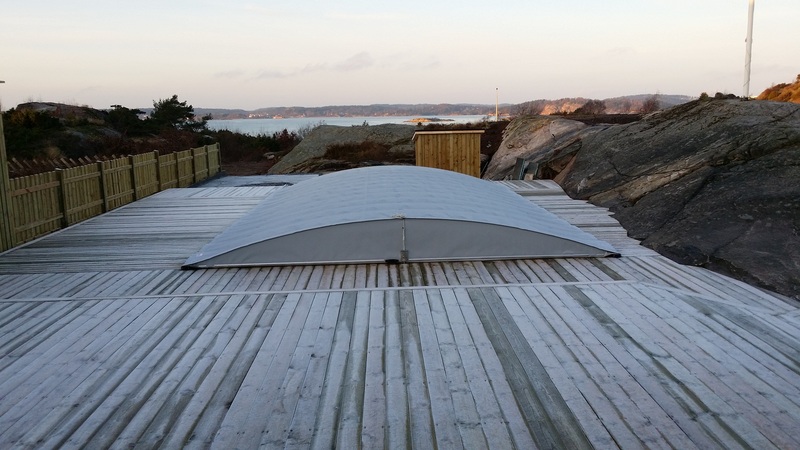 Possibility of insulated roofs with 2.2 in the U-value. 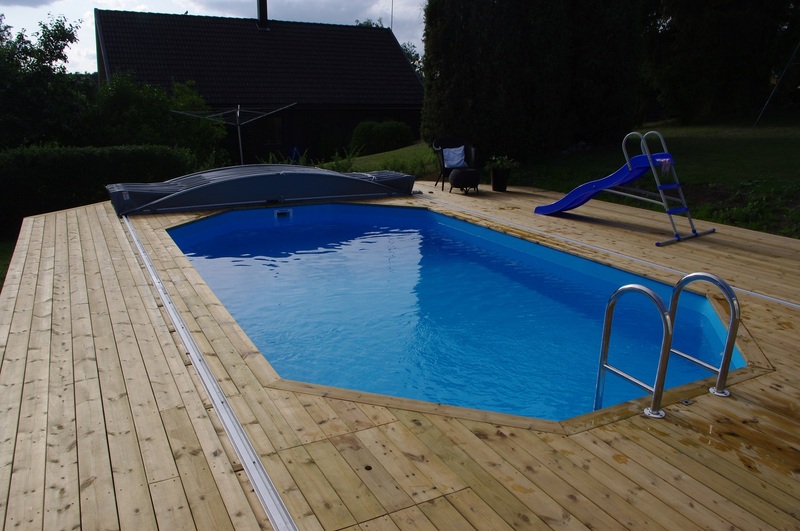 Safety in pools areas regulations requires that the basins and the like on the land shall be designed with adequate protection against accidents to children. 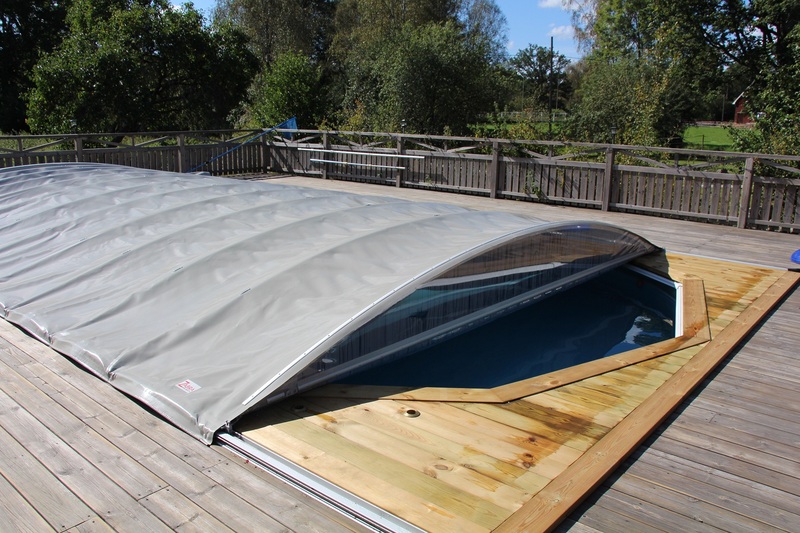 Naturally meet Zabras pool cover all requirements for safety. 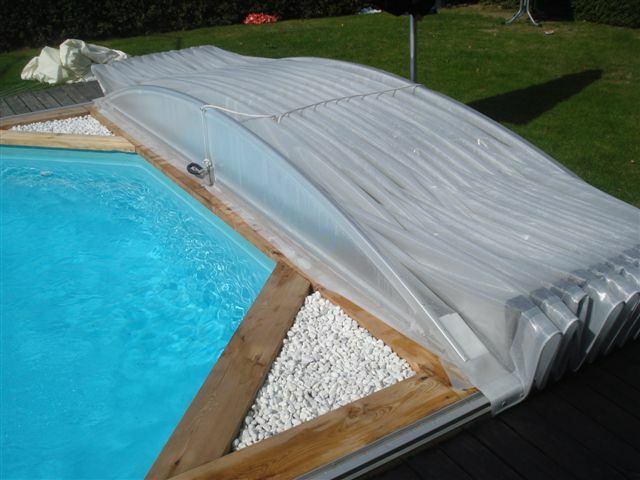 When the pool is locked protect children and animals from falling in. 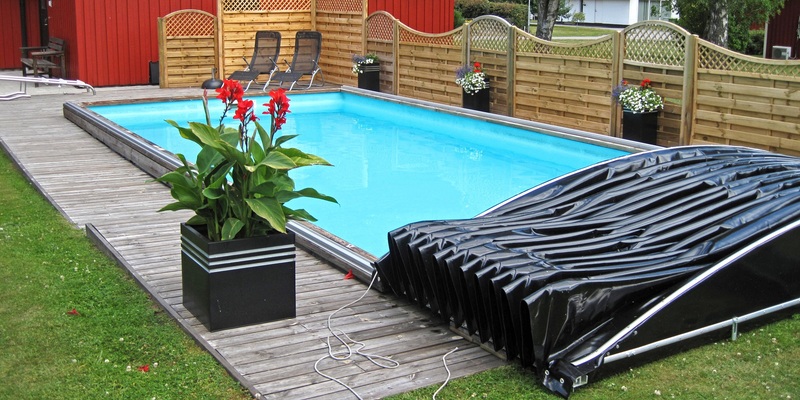 Ball bearing trolleys and folding plates make it easy to open and close the pool. 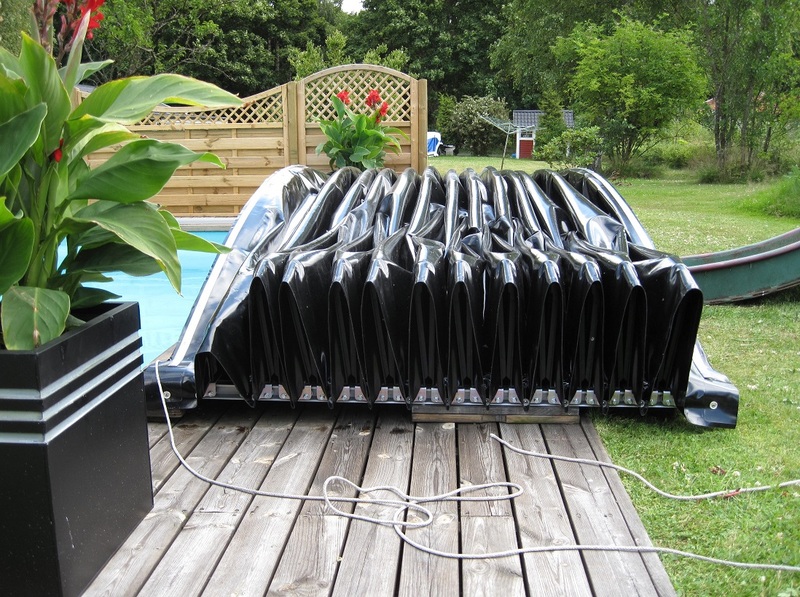 The wheels roll on rails installed along the edge of the pool. 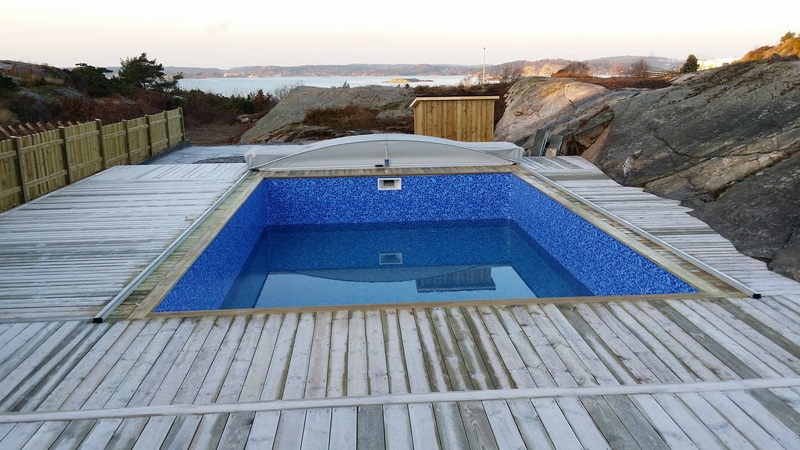 All the components are corrosion-resistant materials.